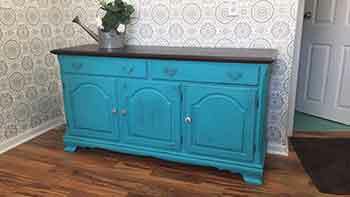 Transform your furniture with paint! Get hands-on instructions from a local master furniture painter. Bring in your own small piece of furniture or cabinet door to paint in class and get expertise guidance on how to change your piece from drab to fab. Learn what type of paint is best for the look you want to achieve for your painted piece. Use paints like: chalk style paint, acrylic paint or wood gel stains. Learn about waxing, glazing and destressing furniture techniques. Please read: Class held at Red Posie in St. Charles. $22 supply fee payable with tuition.